Image: Matt McClain/The Washington Post via Getty Images. Jan. 17 is no ordinary day for Michelle Obama. It is, in fact, her 55th birthday, and if anyone knows how to honor her on her special day, it’s her husband, Barack Obama. To celebrate, Barack shared a super-sweet throwback photo on his Instagram with an even sweeter caption to mark the occasion. These two are no strangers to romantic photos and proclamations, but it’s especially sweet to see photos from their past and see how their love has grown over the years. The Obamas have been married since October 1992, meaning it’s been nearly 27 years since they tied the knot. Although we can’t know exactly when this photo was taken, Barack is wearing a silver band on his left ring finger, which suggests that it was taken after their wedding. Michelle’s 54th year of life seemed like quite a whirlwind. She wrote a best-selling book, went to multiple Beyoncé and Jay-Z concerts (including one with Barack), signed a massive deal with Netflix and received a new official portrait. Not to mention how she continued to inspire us with her words, her actions, her parenting and her sense of humor. 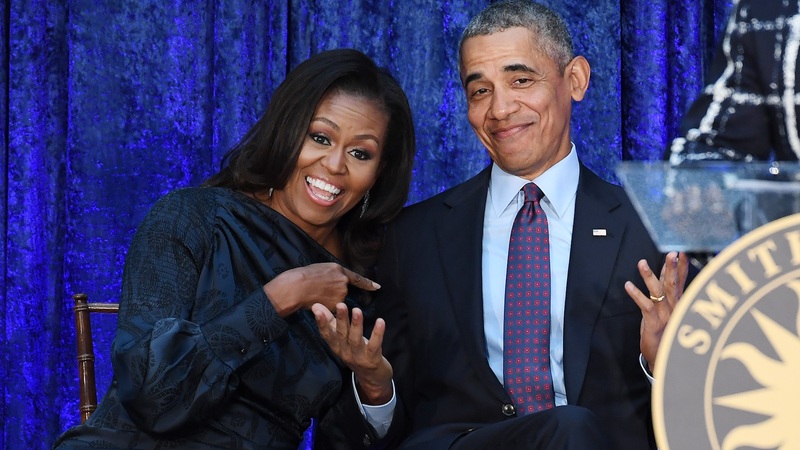 Frankly, we can’t wait to see what the former FLOTUS has in store for us next, but for now, we’re just going to follow Barack’s lead and stick to celebrating her birthday.